You have many webpages to read and not enough time? You don't want to mess up your bookmarks folders with temporary pages? You want to have access to these pages in offline mode or make sure you have a saved version? You want to be able to read web pages quickly, as a slideshow or as text only? A simple extension for Google Chrome will meet all these requirements. 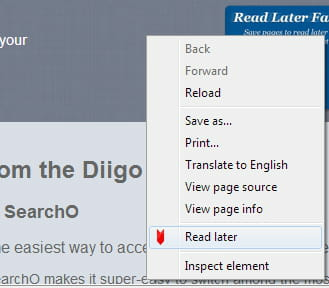 Read Later Fast allows you to save your webpages to read them later (online or offline). With this extension you won't need to fill your bookmarks bar with temporary pages. Read Later Fast available for Google Chrome. 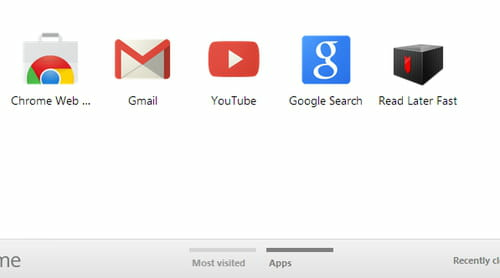 Open Google Chrome and sign-in to you Google account. Install the extension by pressing the "Add to Chrome" button. Add a page to "Read Later Fast" simply by right-clicking on it > Read later. To access your saved pages, go to the Apps section of the Google Chrome browser > Click on Read Later Faster. Download Read Later Fast for Google Chrome. Original document published by Carlos-vialfa. Published by deri58. Latest update on December 10, 2012 at 09:34 AM by deri58. This document, titled "Read Later Fast for Google Chrome," is available under the Creative Commons license. Any copy, reuse, or modification of the content should be sufficiently credited to CCM (https://ccm.net/).